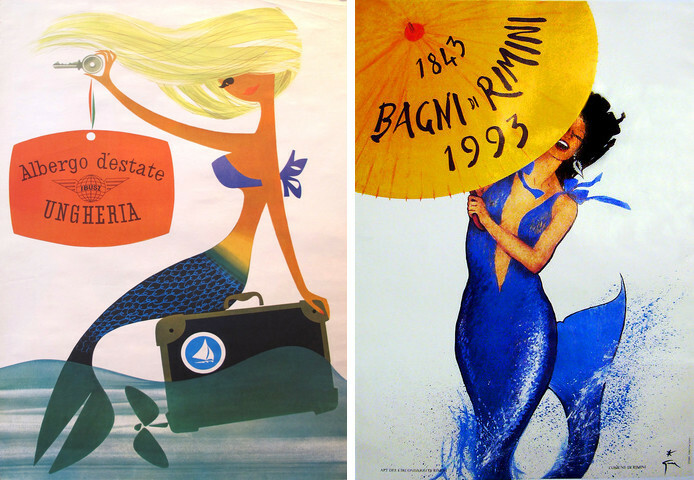 So I decided that this week we are going to look at some of our favorite beach posters: mermaids, bathing suits, sailboats and warm weather spots. Because unlike my brother Greg, who wears shorts literally all winter long, some of us yearn for a day when the thermometer hovers well above zero. 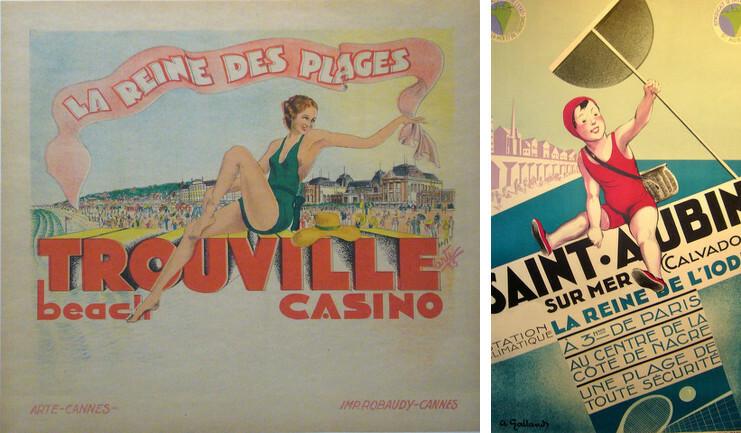 Two French beach posters from the Art Deco period – great color, fab typography, and looking at the beauty on the left almost makes me feel … not quite so cold. You could look at these posters while listening to a song called the French Riviera by the (not so well-known and unfortunately named) Kyrgyz and Chechen Boys. It’s a real skill to be able to use negative space (a trick the German-American poster artist Lucien Bernhard called ‘addition by subtraction’) and we think that the Wil Wite poster on the left is a great illustration of that. As for the Hawaii poster, I’ve never been but it looks pretty… warm. I can’t be the only one who sings along with the radio in the car (although I may be one of the few dinosaurs who doesn’t plug my iPhone or iPod or iWhatever into the … wherever you would plug it in to) but if you need a fix of top summer songs, you can click here. 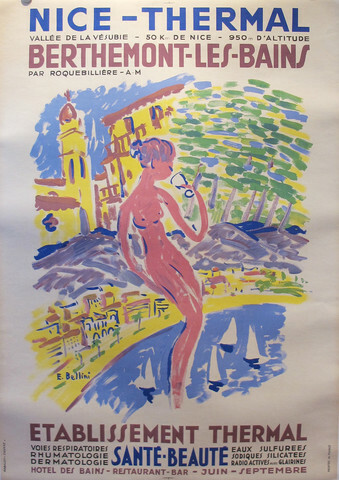 Or maybe you could buy this fab poster advertising the thermal baths conveniently located in Nice, on the Cote D’Azur. Either way, we think you’ll warm up right quick – we have! Previous Planes, Trains and Automobiles – Or, Why we love vintage aviation, railroad and car posters….